Have you ever walked into a hairdresser and tried to explain the hairstyle you want, only to realise you have no idea how to explain it? Or you’ve given up and said ‘just do whatever you think will look best’ only to walk out with a hairstyle you never would have picked yourself? While we try our absolute best to understand what you’re after, we aren’t mind readers. So besides bringing in photos of your desired look, knowing some hairdresser lingo can get you much closer to your dream hair cut. Dusting refers to the slightest of haircuts, where only the bare minimum is taken off. So if you’ve ever asked for ‘a trim’ and your hairdresser has taken a few inches off, try using the term ‘dusting’ instead. But (and this is a big but), if your hairdresser tells you that you need to get a few extra centimetres off due to split ends, we highly recommend listening to their advice. Getting rid of split ends will prevent further breakage, making your hair look thicker and strengthening it so it grows into healthy, luscious locks. Your weight line is the line formed by the ends of your hair. This can either be a straight line, or a more textured choppy one depending on your hair type and styling preferences. This is a technique used by some hairdressers to soften the blunt weight line of your hair. If you feel like your hair is too heavy at the bottom, or that it follows too straight a line, you can ask your hairdresser to cut the ends at an angle to provide a more textured, subtle edge. Opposite to point cutting, a blunt cut involves cutting hair at an angle of zero degrees, so that your hair falls down to form one straight line. Blunt cuts create an illusion of volume, so they’re perfect for people with fine hair. To hairdressers, a bob refers to a haircut where the weight line sits at your jaw or chin . If you’re wanting a slightly longer haircut that sits closer to your shoulder or collarbone but has a similar look, ask for a ‘lob’ (the word is blend of the words ‘long’ and ‘bob’). Put simply, tapering is a cutting technique that focuses on the blending of different hair lengths. Hairdressers often use this technique to frame your face by cutting gradually from your fringe or jawline down to the longest length of your hair. Paper thin lights, also referred to as baby lights, look more like a subtle glisten of colour rather than defined streaks. If you’ve never had highlights before, paper thin lights are a great place to start. If you’ve had your hair coloured blonde, or you’ve added blonde highlights, you’ve likely experienced brassiness. Brassiness refers to overwhelming warm tones that can make your hair look dehydrated and quite unhealthy. Using hair products with violet pigments will alleviate brassiness, and asking your colourist for cool tones will help too. Your hair is made up of keratin, so having a keratin treatment will temporarily restore the keratin you’ve lost in your hair from heat styling, colouring and ocean swims. The term ‘balayage’ comes from a French word meaning ‘to sweep’. So your colourist will paint the colour onto your hair in a freehand, sweeping manner to create a more naturally coloured effect. If you have frizzy or fluffy hair that is very thick, weight removal can prevent your hair from taking on the infamous triangle shape (which hugs the top of your head, but splays out towards the ends). 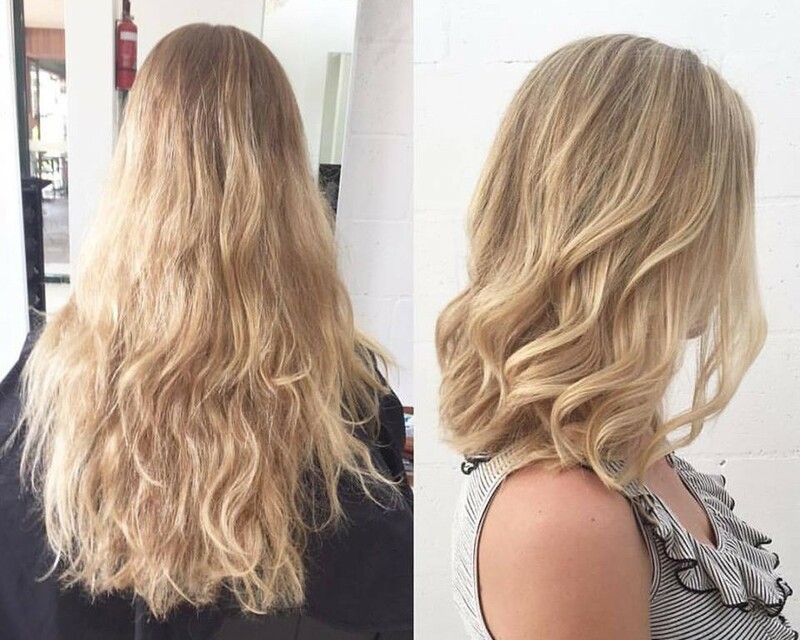 Your hairdresser can either remove weight by creating layers or using an undercut technique to cut the under layers of your hair shorter while leaving the top layer long. Ready to Show Off Your New Lingo to a Hairdresser? 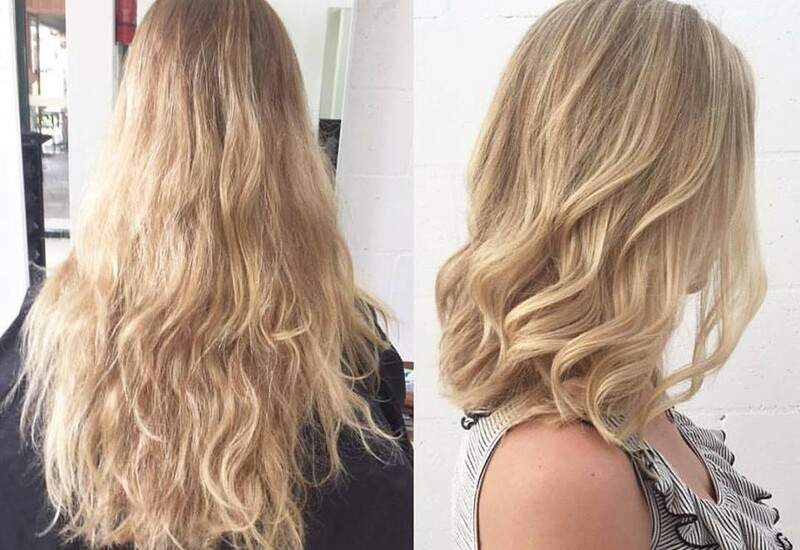 To book a hair appointment with the expert hairdressers at TWIDALE in Brisbane, please get in touch with us.